9 Ways To Say Thanks Dad! This Father’s Day, forget the tie or cologne and get dad something that he can wear every day and love forever — a Rolex watch. For the ultimate expression of love and appreciation make this day dedicated to dads extra special by splurging on a watch that he deserves! 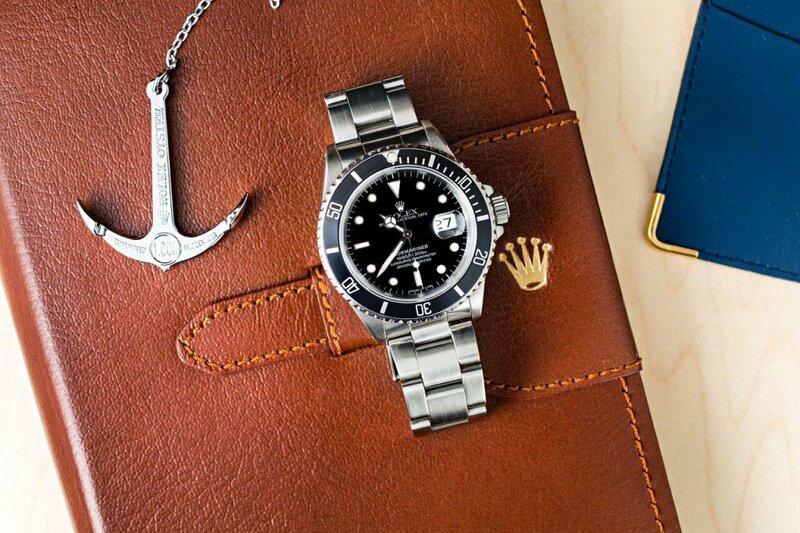 Whether dad is into steel, gold, or a combination of both, here are nine different Rolex watches to suit any taste. 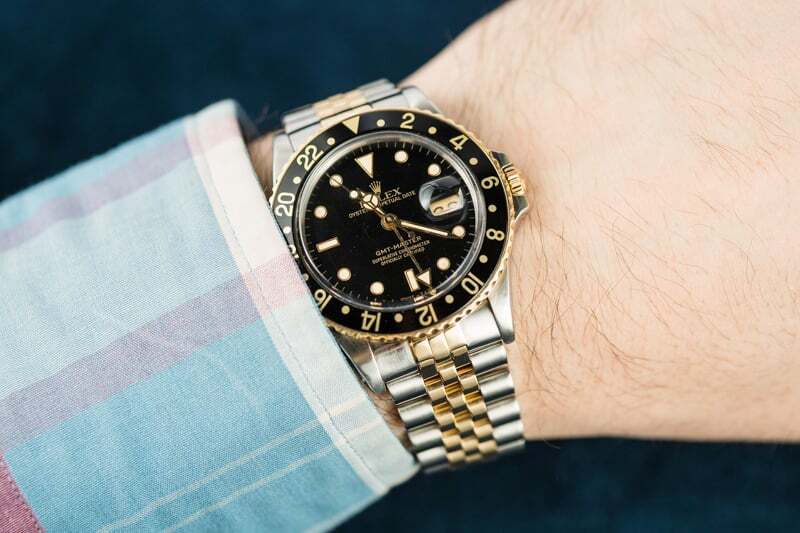 Alternatively, you can check out the inventory we have at Bob’s Watches for hundreds more Rolex models in countless styles ranging from vintage to modern. For some understated luxury, opt for a stainless steel Rolex watch. Masculine, rugged, yet still luxurious, here are three choices of iconic Rolex watches all crafted in stainless steel. 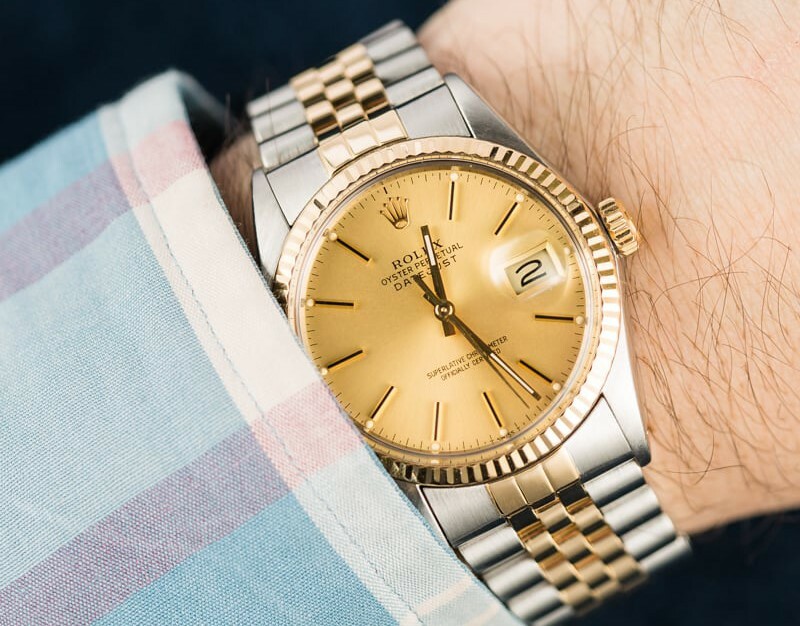 The Rolex Datejust II 116300 is a larger alternative to the original Rolex Datejust. The larger alternative to the original Rolex Datejust, the Oyster case of the Datejust II measures 41mm for a more contemporary size. The black dial, steel case, bracelet, and domed bezel keep things modern while the use of Roman numerals adds a touch of traditional. 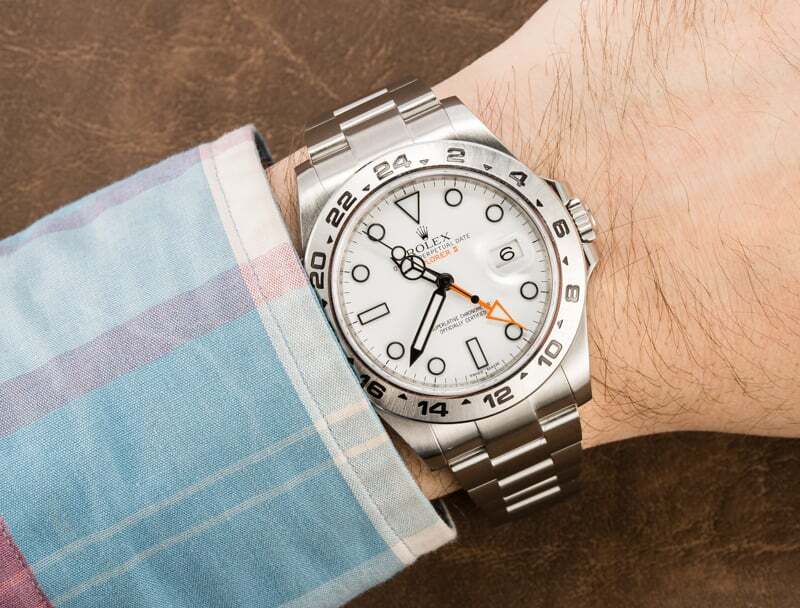 The Rolex Explorer II 216570 a sports watch that stands out. A spectacular looking watch, the Explorer II is a Rolex sports watch that stands out. The clean white dial is the perfect backdrop for the large lume plots, luminous Mercedes-style hands, orange GMT hand, and matching orange “EXPLORER II” text. The robust stainless steel 42mm Oyster case is topped with the 24hr fixed bezel and presented on the stainless steel Oyster bracelet. Nothing says Rolex tool watch like a stainless steel Submariner. Nothing says Rolex tool watch like a stainless steel Submariner. With a stainless steel 40mm Oyster case, stainless steel Oyster bracelet, black unidirectional diver’s bezel, black dial with luminescent hands and indexes, and date window, this is the classic Rolex Submariner. 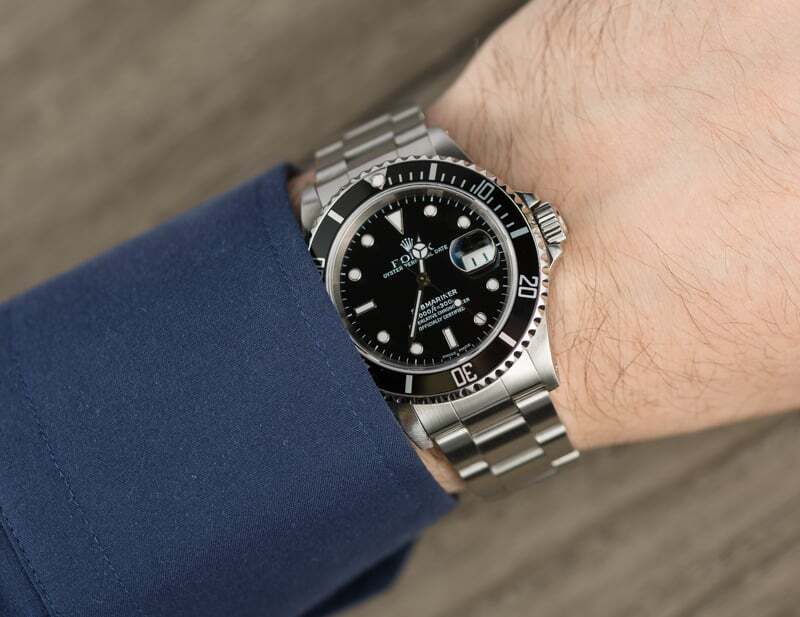 The legendary diver’s watch that set the standard for all luxury sports watches, the Rolex Sub is just as comfortable paired with a diving suit as with a formal suit. For a touch more luxury, the steel and gold “Rolesor” two-tone combination is always a great choice. Whether on a more classic Rolex dress watch or a Rolex sports watch, the contrast between tough steel and precious gold just works. Rolex GMT-Master 16753 is a combination of the 40mm steel and yellow gold. The famed Rolex pilot’s watch crafted in steel and yellow gold offers a touch of vintage glam for those who want to jet set in style. The combination of the 40mm steel and yellow gold Oyster case with the black and gold GMT bezel and black and gold dial looks particularly good with the steel and gold Jubilee bracelet. 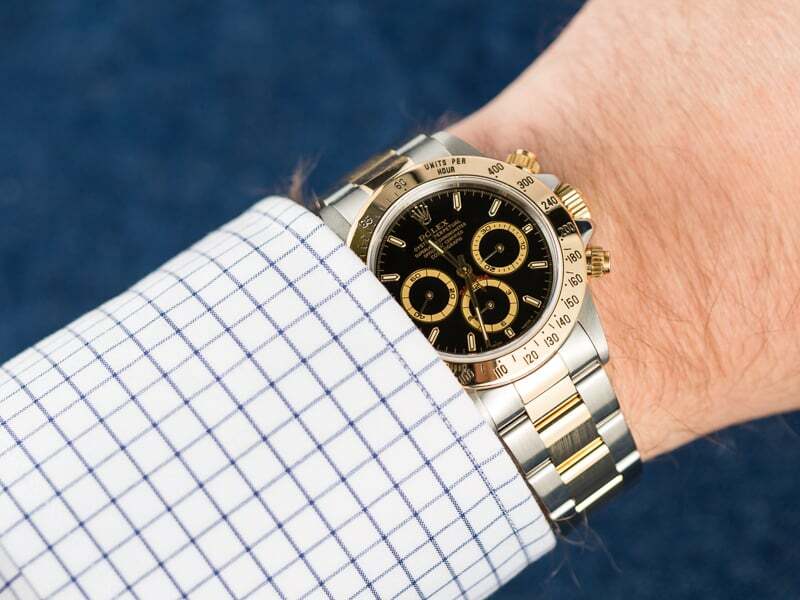 Rolex Daytona 16523 is the perfect fit for the fathers who love cars. Quite possibly the most famous chronograph in the world, the Rolex Daytona is built for endurance and speed. The Rolesor yellow gold and steel configuration is supremely good looking with the two-tone 40m Oyster case and matching Oyster bracelet. Topped with a gold bezel and black dial with gold details, the Rolesor Daytona is a dynamic and exciting piece of wristwear. The Datejust has been the flagship collection from the brand. The most classic of among Rolex classics, the Datejust has been the flagship collection from the brand since its inception in 1945. The two tone Datejust with yellow gold and steel 36mm Oyster case and Jubilee bracelet keeps traditional design details such as the fluted gold bezel, champagne dial, and baton style hour-markers. At 3’clock is the famed date window magnified by the Cyclops lens mounted on the sapphire crystal. For the ultimate statement of luxury, you can’t do better than a solid gold Rolex. Whether yellow, white or pink, classic or sporty, Rolex are the masters of the precious metal crafting it into unforgettable designs. 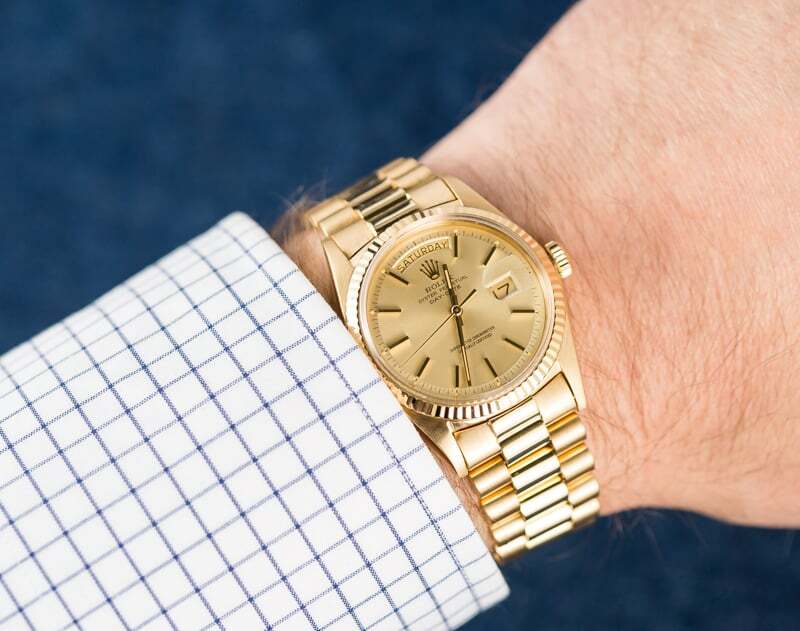 Rolex Day-Date 1803 is all gold is a great watch. The Rolex Day-Date or President as it’s more commonly known, sits at the pinnacle of Rolex prestige and excellence. Only ever crafted in gold or platinum, wearing a Rolex Presidents asserts one’s appreciation for the finer things in life. The solid yellow gold Day-Date is just perfect with the 36mm Oyster case, solid gold President bracelet, and champagne “pie-pan” dial bearing the characteristic day and date apertures. 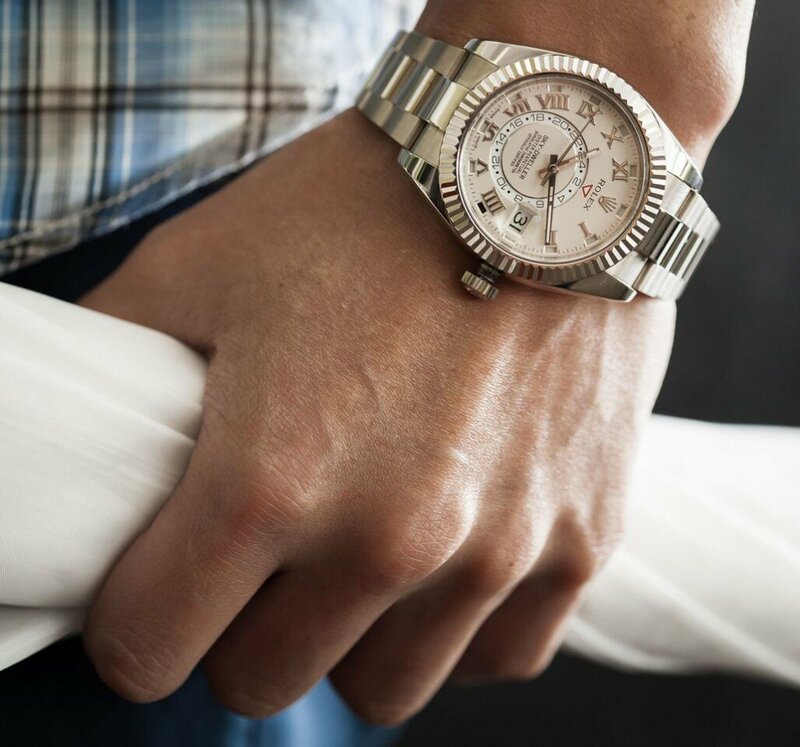 The Rolex Sky-Dweller 326939 is another great pick for international businessmen. A very different Rolex, the Sky-Dweller is the newest collection to join the brand’s lineup. 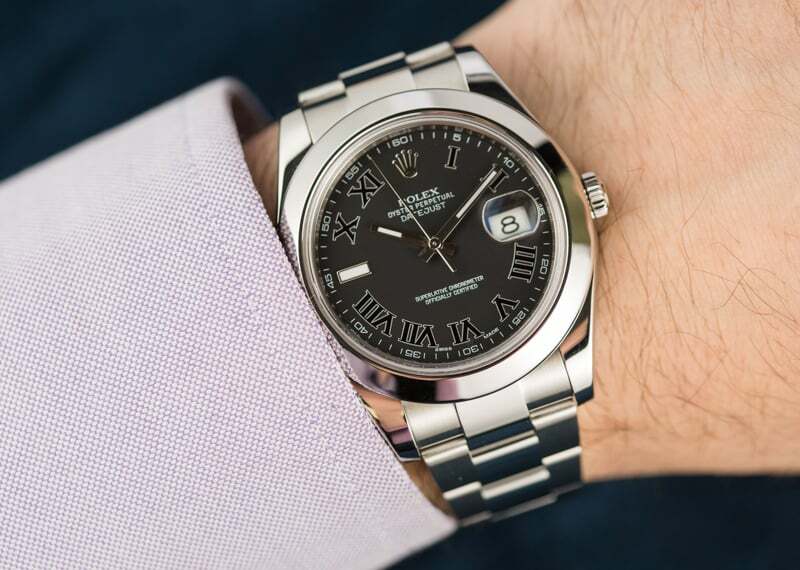 Touted as the ideal watch for the international traveler, the Sky-Dweller is not only one of Rolex’s most complicated with dual time zones and annual calendar, but it’s also one of the larger ones at 42mm. Fashioned from 18k white gold, outfitted with a fluted bezel, and presented on an Oyster bracelet, the Sky-Dweller is a sure standout. 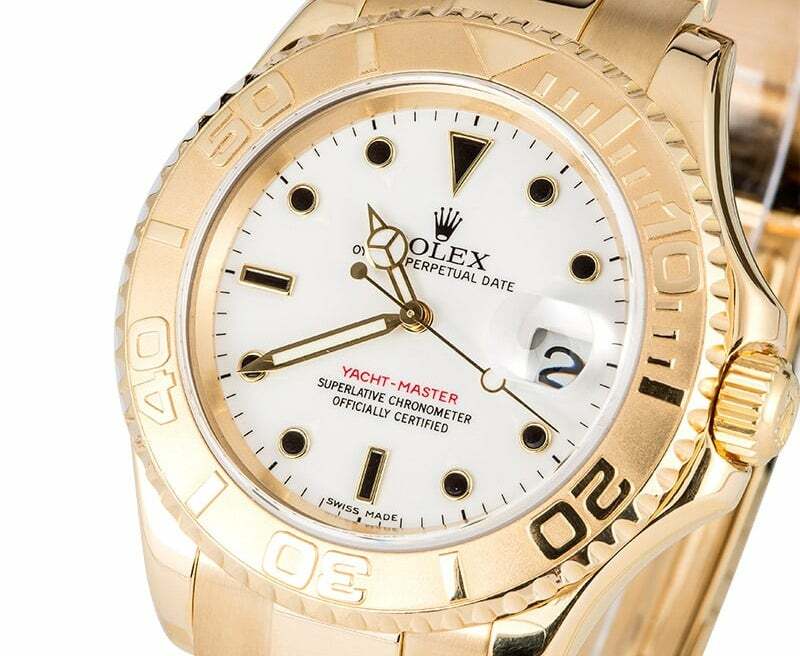 Be the captain of your life with the Rolex Yacht-Master 16628. If the Submariner is built for the man who explores the underwater world, the Yacht-Master is made for the man who enjoys being the captain of his own ship. Sporty, yet luxurious, yellow gold is used to craft the 40mm Oyster case, rotating bezel with oversized numerals, and Oyster bracelet on the Yacht-Master. The white dial bears the black hour markers with gold surrounds, date window at 3 o’clock, and luminescent Mercedes-style hands for a highly legible face.